Smart prepaid subscribers who want to enjoy unlimited text to all networks for only 10 pesos, you can register to All Text 10 promo. This offer is good for 1-day so you can take advantage of unli SMS text to connect with your friends and love ones even if they are not using a Smart SIM. This is one of the favorite and very affordable promo offered by Smart that we can subscribe if you’re on a tight budget. 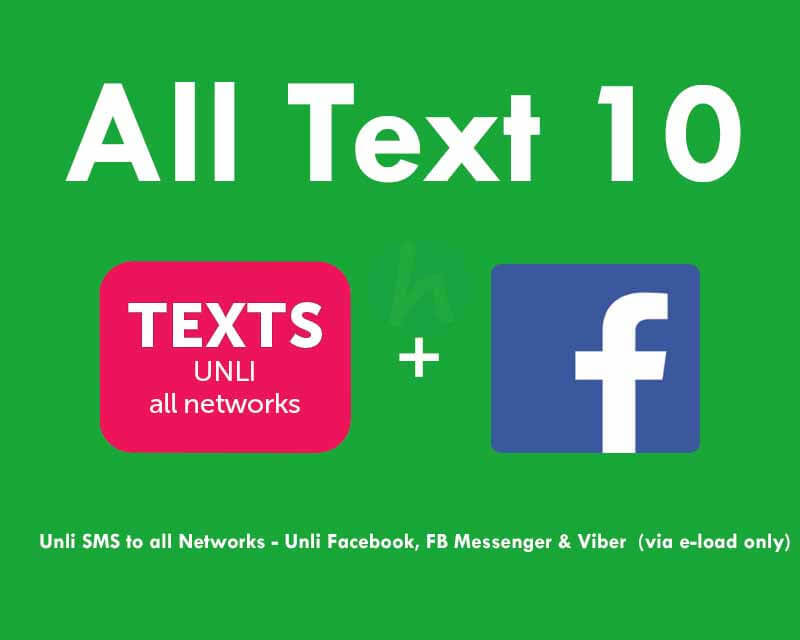 Not just unlitext, you can also enjoy unlimited Facebook, FB Messenger and Viber when you register to AT10. Just turn on your mobile data and open the app to start using this additional free service. Take note that this is the updated All Text 10 promo. You can subscribe by following the mechanics provided as your reference. See all latest Smart Communication promos. This offer is available via e-load only. You can ask your retailer to directly register or enroll your mobile number with ALL TEXT 10 or AT10 promo. An SMS notification will be sent to your account one’s registration is successful. You can also via *121#. Make sure you already installed the FB and Viber app on your Android or iOS phone so you can use while registered to this promo. If not, you need to subscribe with Smart SurfMax or GigaSurf internet promo for you to download and install it.